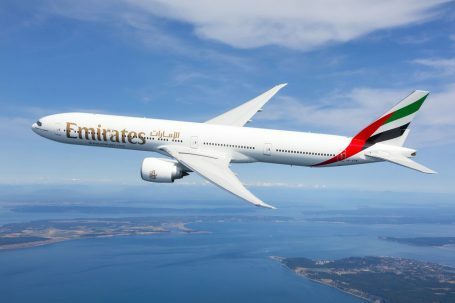 Emirates today announced it will add a second daily flight between Prague and Dubai, after steadily growing passenger numbers on the route during the eight years since launch of operations in July 2010. The new Emirates flight will be added from 1st July 2018 to meet the increasing demand for both inbound and outbound travel. The new daily flight will be operated by a Boeing 777-300ER with a capacity of 360 seats, boosting tourism into the Czech Republic with the 262,800 seats a year which are added. “There is surely no better way to celebrate the success of the eight-year anniversary of the Prague-Dubai route than to be able to make this second daily flight announcement,” said Bořivoj Trejbal, Emirates’ Country Manager for Czech Republic. “Since our inaugural flight, the Prague-Dubai route has met with consistent, strong demand, demonstrating that Czech travellers appreciate the Emirates travel experience. I am sure that the increased travel options customers now have will prove to be very popular in the market,“ he continued. Emirates‘ flight EK138 will leave Prague at 21:35 and arrive in Dubai at 05:30 the following day, giving travellers the full day in Dubai to kick start their holiday, short break or business trip and take advantage of the wealth of activity and dining options the cosmopolitan city has to offer. The return flight EK137 will leave Dubai at 15:30 and arrive in Prague at 19:55. Thanks to the codeshare agreement Emirates has established with airline partner flydubai, customers can now connect with one stop in Dubai to a range of additional tempting destinations in the flydubai network including Zanzibar, Kathmandu, Salalah and Kilimanjaro which are currently proving popular with Czech travellers. The Emirates experience begins with a complimentary chauffeur driven car to and from the airport for Business and First Class passengers, as well as access to Emirates’ exclusive airport lounges worldwide including Premium airport lounge access on departure at Prague airport. As with all Emirates flights, passengers benefit from a generous baggage allowance of up to 35kg in Economy, 40kg in Business and 50kg in First Class.